Biorela® ORS is a food for special medical purpose, intended for patients suffering from the loss of electrolytes and water caused by diarrhoea, and for rehydration, electrolyte replenishment and restoration of the intestinal microflora. 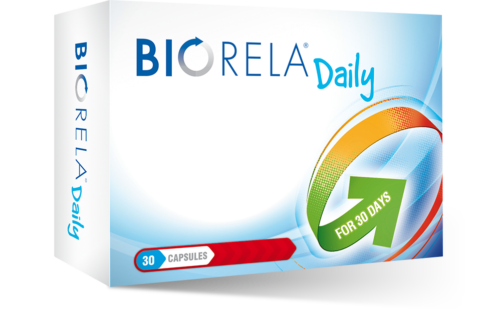 How does Biorela® ORS work? 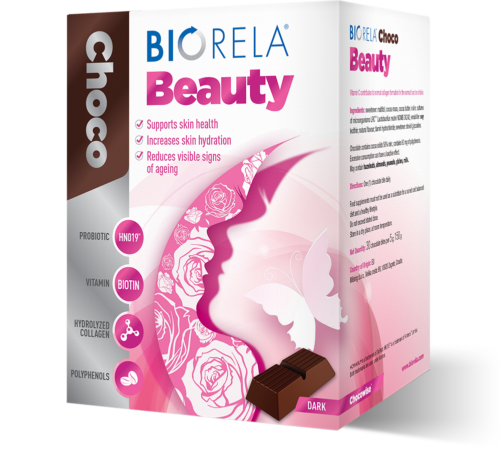 The combination of Biorela® and oral rehydration salt works in synergy. 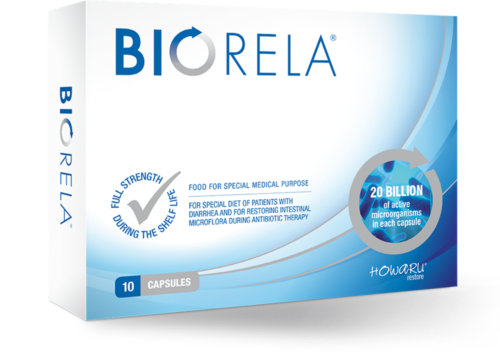 Biorela® contains the HOWARU® restore combination of lactobacilli and bifidobacteria that regulate and restore the intestinal microflora, while the balanced combination of electrolytes in the oral rehydration salt restores lost electrolytes and water caused by diarrhoea. 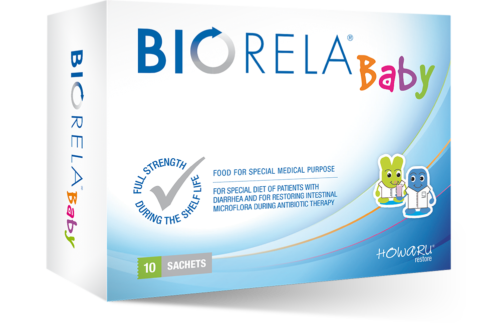 Biorela®: To restore the intestinal microflora mix the contents of one sachet in a cold drink (water, juice, milk). Do not mix with hot ingredients. 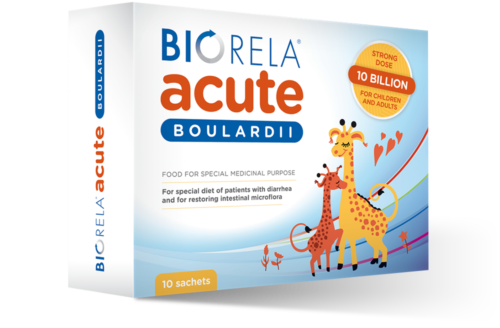 During antibiotic therapy, wait at least 3 hours after taking the antibiotic to take the product. 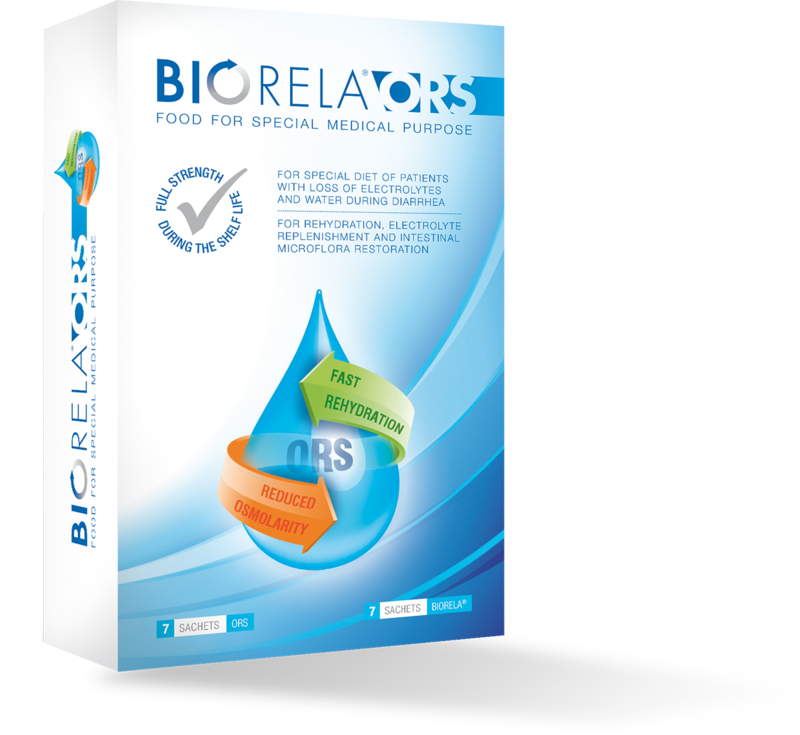 Oral rehydration salt: Boil 200 ml water and cool to room temperature. 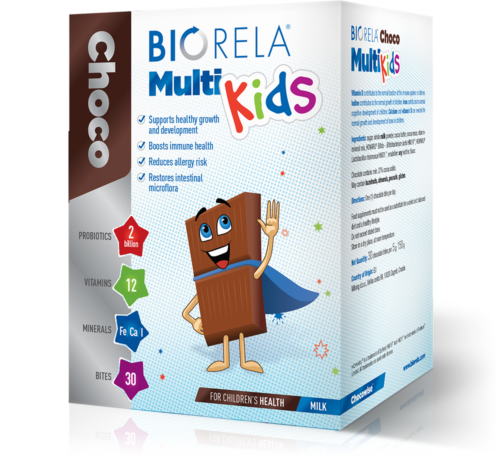 Add in contents of one sachet. 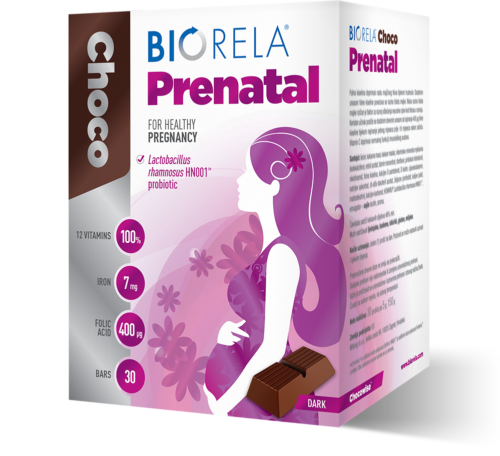 The oral rehydration salt, once prepared, must be used within 6 hours if kept refrigerated, or within 3 hours if kept at room temperature. Your doctor will prescribe the amount and the dosage depending on the level of dehydration. 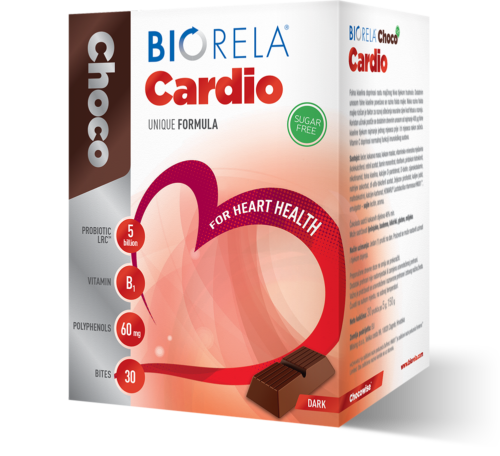 This product must be used under the supervision of a doctor. This product cannot be used as an only source of food. 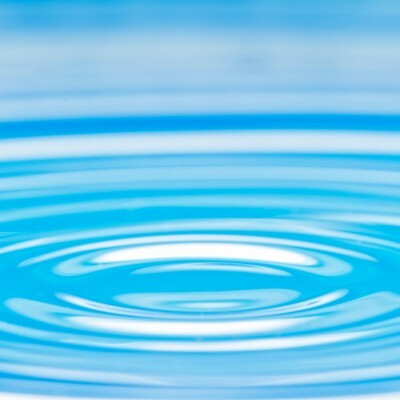 HOWARU® restore is a trademark of DuPont and is used with permission. 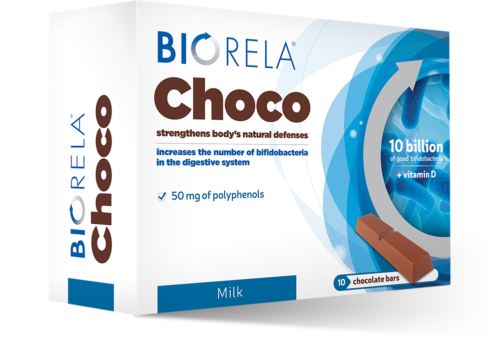 A combination of five strains of bacterial cultures restores the intestinal microflora, while the balanced combination of electrolytes restores lost electrolytes and water caused by diarrhoea. 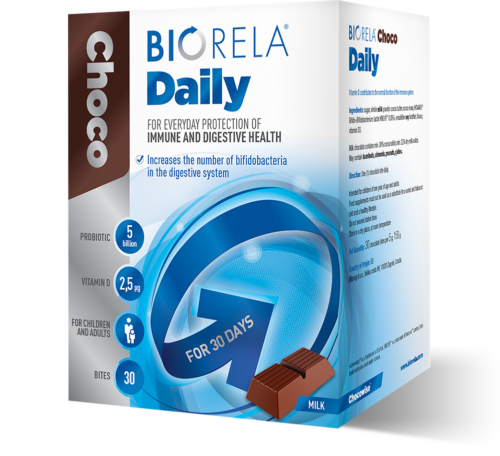 The solution’s osmolality is 245 mOsm/kg, the level recommended by the World Health Organization and UNICEF for prevention of dehydration from all types of diarrhoea.